Register an account and log in. Click "Play Now" to watch your favorite film. Send invitation code to your contacts on instant messengers or via email address. You will get 2MG for every registration. Welcome to movieonline.cc. Here you can watch all topping movies with HD quality. All movies on movieonline.cc are categorized well, you can search any movie via its name, cast or director. We are trying to provide what you want to watch. Please ready the following watching guide before you start a tour on movieonline.cc. First, you MUST have an account that is totally free to register. 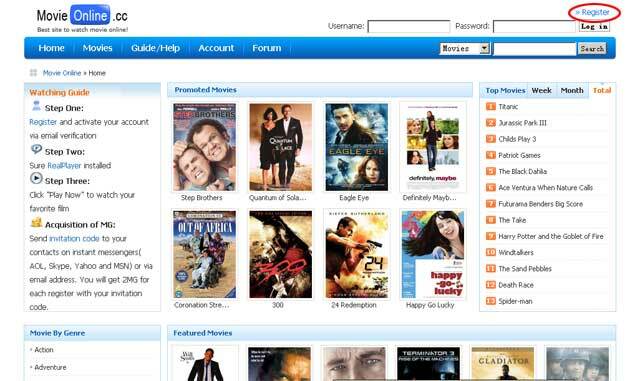 You can save viewing history with your account to reminder you which movie you have watched. Third, now log on to movieonline.cc, find which movie you preferred, click on "Play Now" button and enjoy it. 1. 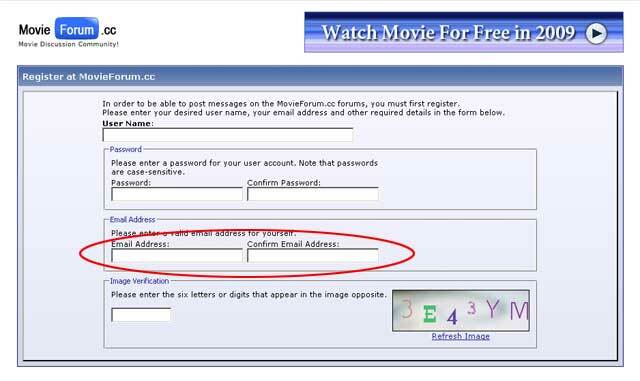 Click on "Register" button indicated below to let the browser redirect you to register an account at http://www.movieforum.cc/register.php . It's totally free. 2. Please provide a valid email address indicated below. 4. Log on to MovieOnline.cc in login box. 5. 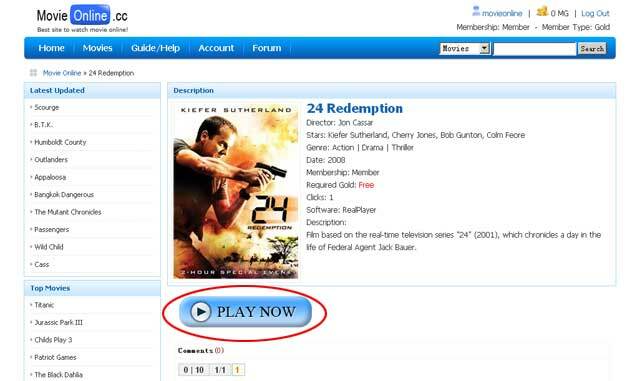 Search and find your favored movie and enter its page, then click on "PLAY NOW" button to play the movie. 1. Our videos stream at approximately 1,000 Kbps, so we recommend a downstream bandwidth of 1,000 Kbps or higher for streaming. Also, you can pause the video and allow the stream to buffer before playing. To get the smoothest playback you will need Adobe Flash Player 10.3 or later installed on your computer. OBSERVE! Cookies MUST be enabled in your browser for streaming to function like normal. We recommend that you use Google Chrome when visiting our site. 2. The same movie can be played(clicked) for 10times in 24hrs with no additional cost if any connection glitches occured. 3. Skip to where you last left off. If you do still get a timeout issue you do not have to wait for the movie to play all the way through to view it. You can try to figure out/judge where you were and skip ahead by clicking on the tracker and dragging it to where you judge you've left off.